I am a very outspoken advocate for individualism. I think everyone should live their life they way they choose to without interference from anyone else so long as it doesn’t cause interference on someone else. However, I’ve found many people who like to use the state to coerce others to live they way they dictate. Its a hot election season here. I don’t vote. I don’t consent to being governed. If you don’t quite understand my position and want a quick summary, George Carlin can explain it. If you want more in-depth discussion you can look up Lysander Spooner or Frederick Bastiat. My family does vote, and will be voting. They feel very passionate about advocating for constitutional candidates. And we are not alone. Most of the county is fed up with the people currently in office. I am often criticized for talking about my rights as if it’s selfish of me to want to protect myself. I’m often criticized for putting my own rights above others demands on me. People expect that when faced with adversity that you would waive your rights for the sake of avoiding animosity. That’s not the case with me. 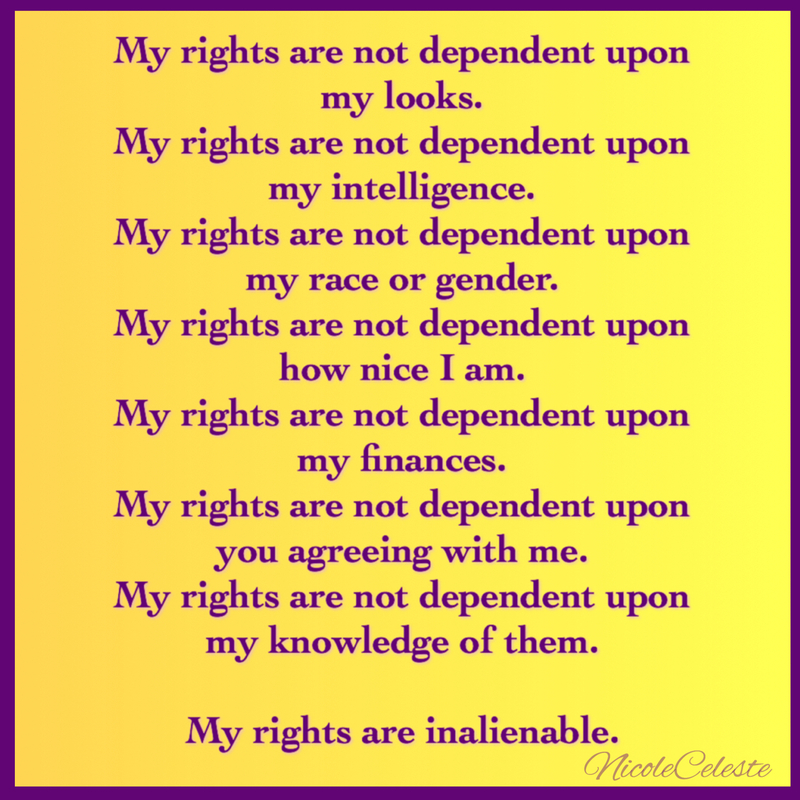 My rights, my children’s rights, are not dependent upon someone else’s approval. They are not dependent upon who we know. While the state may have some authority to make sure that the exercise of my rights doesn’t infringe on my children’s rights, they do not have the authority to use their personal bias and opinions to dictate ones personal choices in their pursuit of happiness or to infringe on their liberty. 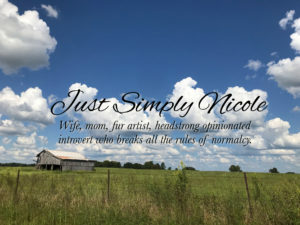 We live minimally. This is intentional and we like it his way. Thanks to the wonderful World Wide Web, we know we are not alone. 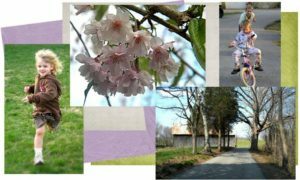 This isn’t to say we don’t enjoy some creature comforts and conveniences, but that we have looked at all the things we could have and chose the things we want. People say “oh I wouldn’t want to live like you but I support you being able to do so”. That’s fine. I probably don’t want to live like them either. I don’t want what they want. I don’t want to be like them. And that is ok. It’s what makes us different. But on the flip side I have people who say how we live is horrible. And because they wouldn’t be able to or be comfortable with how we live, they then feel entitled to demand that we not have a choice. Its not just our lifestyle. I’ve seen it with others choices as well. I’m sure you have too. “Oh, I think it’s bad for children to live in a single parent home” “oh I don’t think gay people should be allowed to adopt” “people shouldn’t be allowed to force religion on their children” “poor people on welfare should be sterilized” “obesity should be considered child abuse” the list goes on. While I personally do not consent to being governed I also have no desire to abuse or mistreat another human. Laws don’t usually stop people from hurting another. If the only reason you aren’t abusing your child is because it’s illegal, please recognize this and get help. Like now. Please. Laws are generally to benefit the state. They are arbitrary and enforced based on the individual who handles the situation. LIke the general population, there are those who would see a situation one way and those who would see it another. It’s like Laurel and Yanni, except with people’s lives. My rights are not dependent upon who comes to my door. 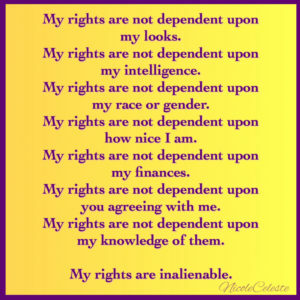 My rights, my children’s rights, are the same no matter whose perception they are being viewed through. There is no “I have no doubt the children aren’t healthy but….” there is no “I have no doubt the children are intelligent but…” there is no but. Either the children are abused/neglected or they aren’t. Anything after that is a violation of rights and an abuse of authority. If you support the state violating the rights of individuals who have not harmed another person, do not pretend to be compassionate. Do not pretend to be an advocate for children as you are asking the state to emotionally abuse a child, often times alienating them from their family, simply because you don’t personally agree with their choices. If you are that person, you are not only a threat to my family. You are a threat to a peaceful society.